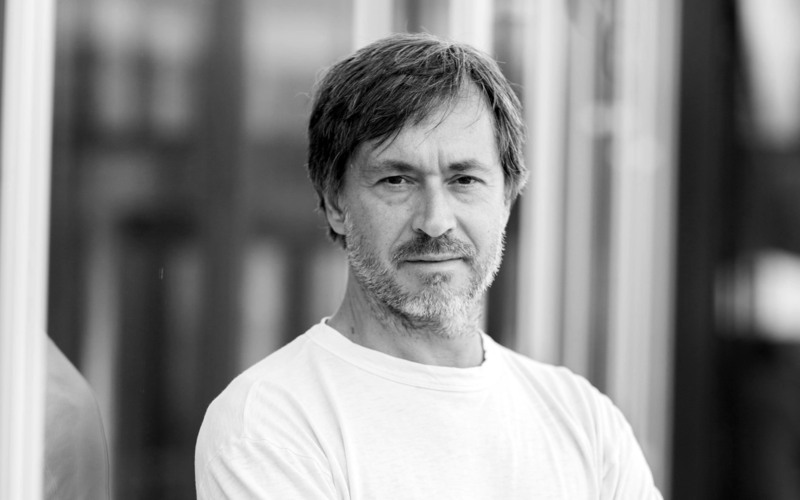 Fueled by a fanaticism for space-age futurism and complex mathematical patterns, Marc Newson continues to make his mark on the world. From furniture and household goods to bicycles and cars, architecture to sculpture, Newson has made a career exploring the marriage of natural forms and contemporary materials and technologies to create beautiful, functional and subtly playful objects for life. Now, he has brought this exploration to Knoll. 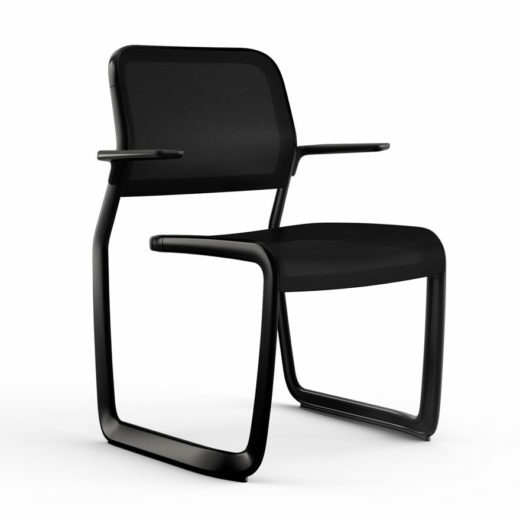 Ever-eager to work with the most inspired design minds, Knoll Design Director Benjamin Pardo reached out to Newson, suggesting a collaboration to design a new side chair. 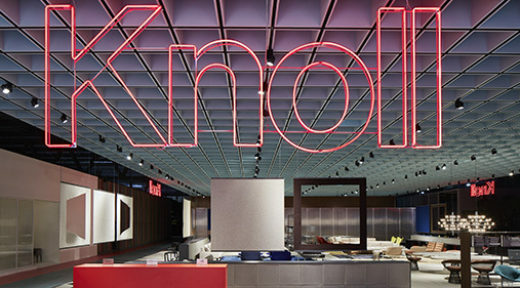 Newson and Pardo agreed that a new side chair for Knoll would honor the aesthetic principles that inform the existing portfolio of Knoll Seating, specifically the cantilevered designs. 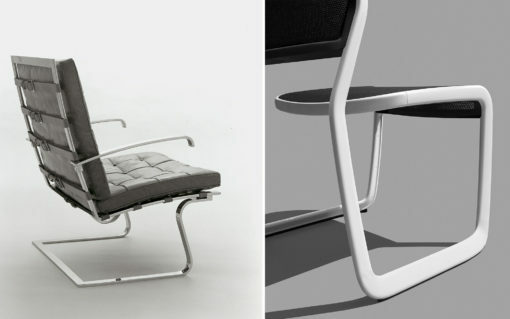 Together they revisited several Knoll designs, starting with Mies van der Rohe’s Brno Chair. 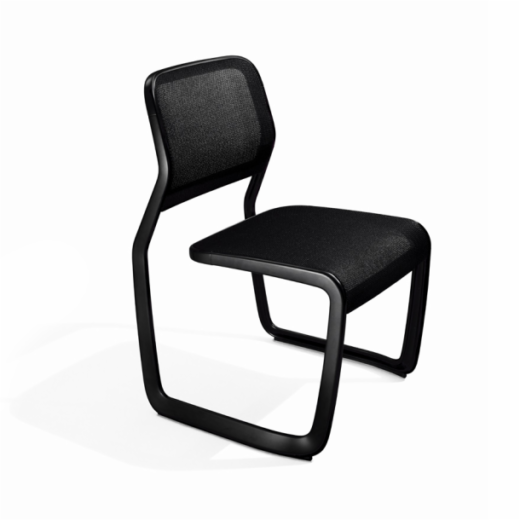 Celebrated for its lean profile and simple details, the Brno Chair reflects the groundbreaking simplicity of its original locale – the Tugendhat House in Brno, Czech Republic, designed by Mies. 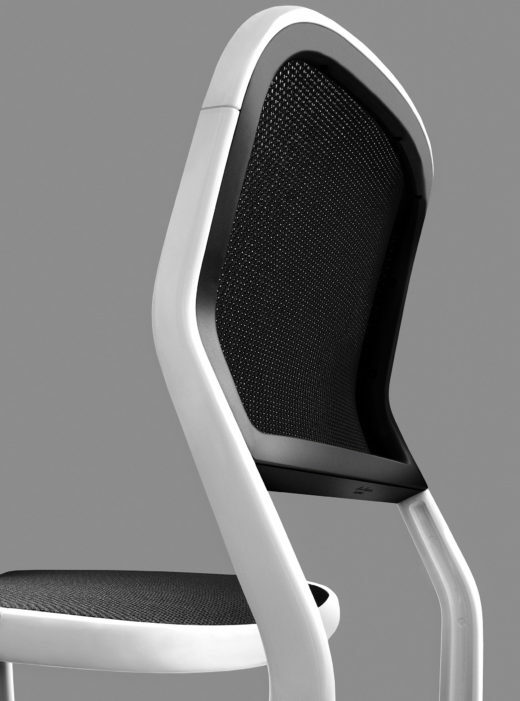 Design is about improving things and about looking to the future, pushing technology forward. “We wanted to reimagine the tubular steel construction revolutionized at the Bauhaus–which is transitively tied to Knoll–with Newson’s unique ability to imagine organic, almost futuristic shapes,” Pardo recalled. With this in mind, Newson forwent tubular steel in favor of cast aluminum, a material he felt allowed for a more dynamic form. 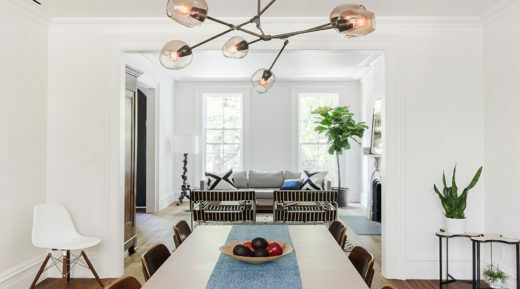 My greatest hope and aspiration is to be able to design a product that does the same thing [stand the test of time], which of course has yet to be seen with this side chair, but I'm certainly in good company. 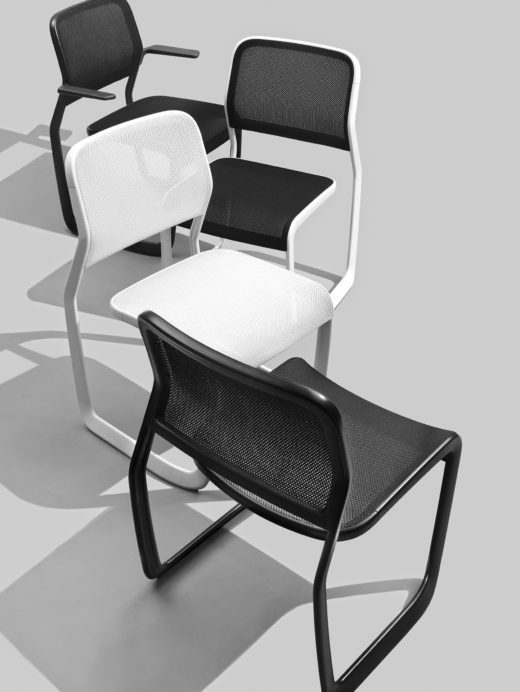 The resulting design, defined by a single uninterrupted line, looks just as much to the past, with its cantilevered form inspired by Ludwig Mies van der Rohe’s Tugendhat Chair, as it does to the future, with its minimal use of parts, complex casting methods and innovative knit mesh. 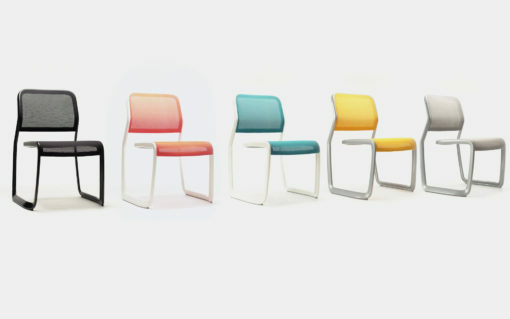 True to Marc Newson’s nature, the Aluminum Side Chair blurs the line between positive and negative space. The piece creates a space around itself that is an illusion of its actual volume, casting an impression that keeps the beholder coming back. Born in Sydney, Australia in 1963, Marc Newson was enamored from an early age with the futuristic sets featured in Ken Adam’s James Bond Films and Stanley Kubrick’s classics like Dr. Strangelove and 2001: A Space Odyssey. These films pushed Newson to consider his own fantastical and futuristic creations. 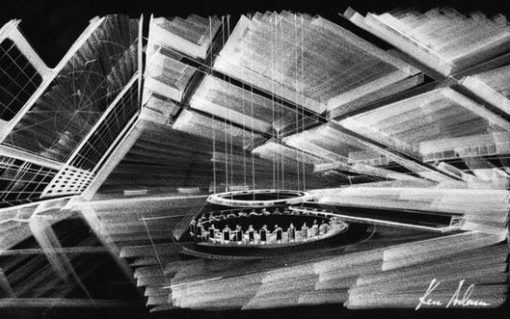 Simultaneously, Newson was exposed to modern architecture and its icons thanks to his mother, Carol Newson, who worked at a leading Australian architecture firm, Pettit & Sevitt. In his grandfather’s garage-turned-workshop, Newson spent his childhood fixing bicycles and repairing toys. He developed a knack of working with his hands. Determined to work in, “three dimensions rather than two…to build stuff, rather than create shapes.” Newson enrolled at Sydney College of the Arts to study sculpture and jewelry. I've always loved forming metal into improbable shapes that look simple, but are really impossible. Newson’s first International exposure came in 1986 with a show at the Roslyn Oxley Gallery, then Sydney’s most prestigious art space. With only three months to put together the show, Newson struggled to fabricate his marquis design, the now-famous Lockheed Lounge, using fiberglass. Under immense pressure to complete his five-piece exhibition, Newson abandoned the fiberglass and began shaping and beating small pieces of metal into the amoeba-like form. 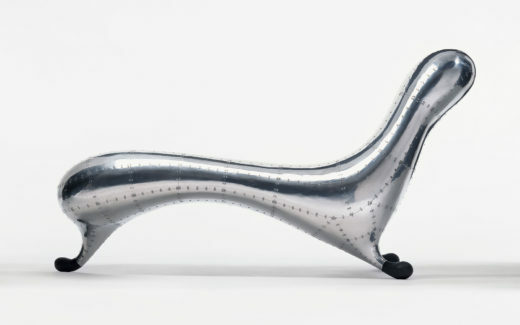 The resulting metal Lockheed Lounge was an instant sensation: “achieving a maximum sense of volume with the least amount of material possible, thereby creating a space as a grand illusion of that volume." (Newson would eventually revisit the Lockheed Lounge when he discovered an Aston Martin sub-contract that could bend aluminum with such precision that the surface appeared untouched.) People were paying attention. 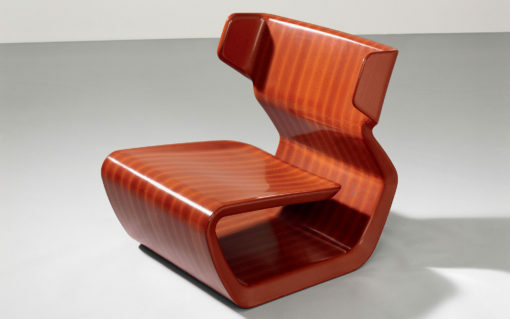 Micarta Chair, micarta, 2007. Photography by Larry Lamay. Courtesy of Gagosian Gallery. 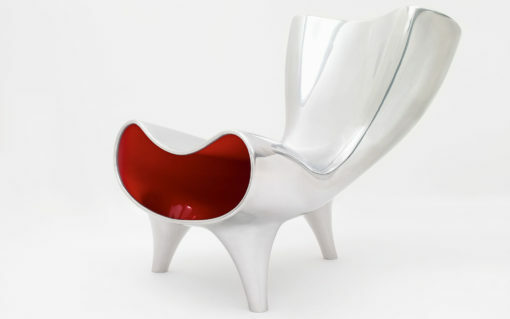 Orgone Chair, aluminum, 1993. Photography by Fabrice Gousset. Courtesy of Galerie kreo. 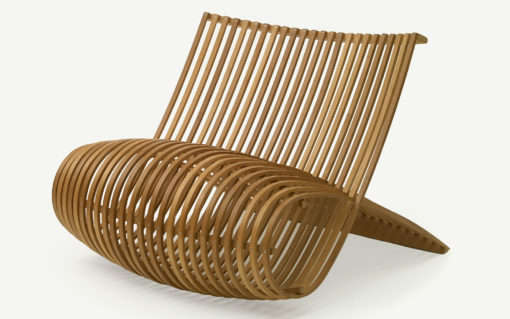 Wood Chair, tasmanian pine, 1988. Photography by Fabrice Gousset. Teruo Kurosaki, owner of Idée, a Japanese furniture company that represented Western designers like Philippe Starck and Marie-Christine Dorner, bought a few of the early pieces and offered Newson the opportunity to design for his brand. 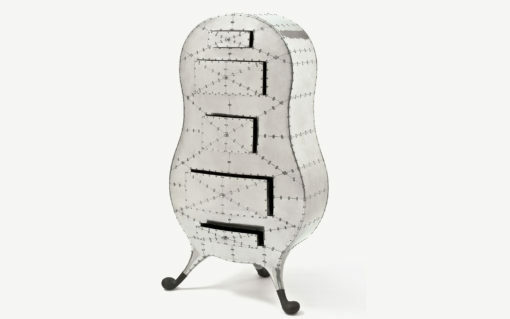 Through Idée, Newson met renowned designers, chased down increasingly large commissions and eventually attracted the attention of the press in 1991, after Kurosaki organized an exhibition of his latest work at the Milan Furniture Fair. 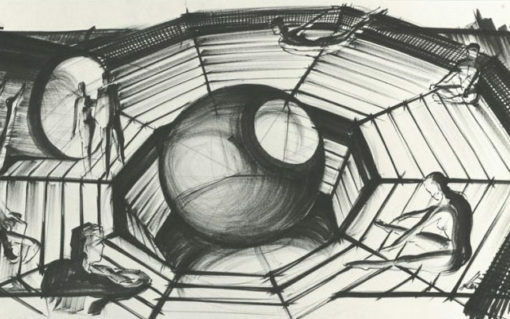 Newson was developing a signature aesthetic: futuristic, almost extraterrestrial. Design patrons and manufacturers sought Newson out, admiring his ability to deploy cutting-edge materials to achieve organic, playful forms. Over the next three decades, Newson worked across industries – Flos to Apple, and in every scale – earrings to airplanes, to create a body of work that is as diverse as it consistent. Today, Newson continues to push the boundaries of materials and technology, testing and designing on the razor thing edge that is the outer limit of a machine's capability or a material's application. Too much pressure and the design may fall apart, too little and Newson's signature dynamism may never reach its futuristic state. 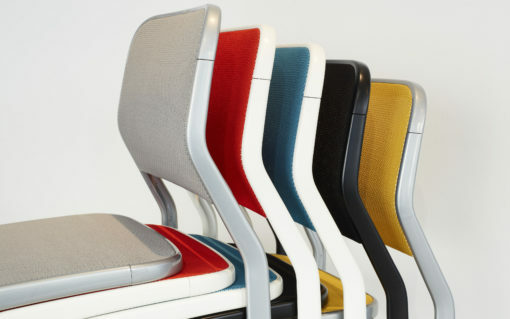 Newson's designs, from the Lockheed Lounge to the Aluminum Side Chair for Knoll, simultaneously convey a degree of finesse and industrial strength that is both perplexing and captivating.